I used to have quite short hair (well a bit longer than a bob), that my old hairdresser got very layer happy with. I changed my hairdresser, spent ages growing out the badly cut layers and now I want to increase the overall length of my hair; mainly because I want to wear my hair in a pretty up do for my wedding next year. It's getting there, but it is a very slow process obviously! So when I found the Jason Long and Strong Jojoba Pure Shampoo and Conditioner online, I thought that it sounded like the perfect set of products to try and give my hair a little helping hand. Jason is an award winning, natural skincare, haircare and bodycare brand, that do not use artifical or animal by-products and ensure all of their packaging is recyclable or bio-degradable. 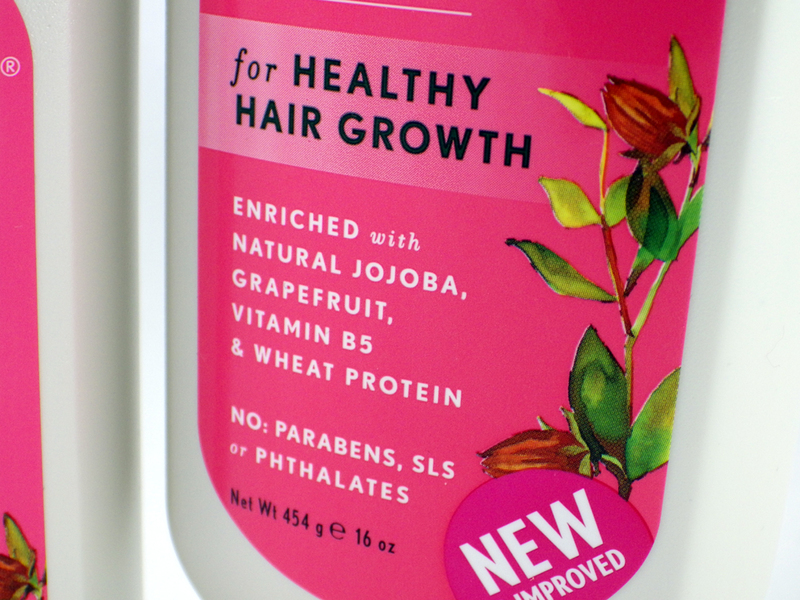 The Long and Strong Jojoba Pure Shampoo and Conditioner are designed for weakened, hard to grow hair and dry, itchy scalps. They do not contain SLS, parabens or phthalates. The shampoo contains Jojoba Seed Oil to replenish lost moisture, Chamomilla Recutita and Grapefruit extracts to promote healthy hair growth, Yucca Filamentosa extract and Vitamin E to strengthen, therefore preventing breakage/split ends and Wheat Protein to improve elasticity. The matching conditioner contains Biotin, Marigold, Ginseng and Chamomile to fortify and revitalise. The Long and Strong Jojoba Pure Shampoo comes in a 473ml bottle and the Long Strong Jojoba Pure Conditioner comes in a 454ml bottle, each costing £6.29. 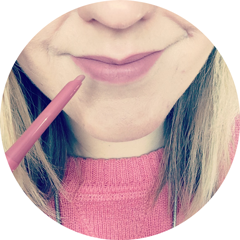 I have my hair and fringe trimmed every 5-6 weeks, so I decided that using the Jason products for the period in between cuts would be a great test in terms of additional hair growth. Please note that I wash my hair every other day. The shampoo has a coloured, thick gel formula, which lathers up really well and has a subtly fruity scent. The conditioner has the same lovely scent but for me, the formula is too thin and not creamy enough. I have to apply much more than normal in order to feel like there is actually conditioner on my hair and that it is actually doing something! I also believe this is why my hair is more knotty after using this duo. However despite my gripes, I was pleased to find that the Jason Long and Strong Jojoba Pure Shampoo and Conditioner does work. It was hard to tell with the overall length of my hair, though I did notice I was finally managing to twist my hair into a little bun. The really noticeable effect was on my fringe - normally by my visit to the hairdressers it is longer than I'd like, but still hangs in place comfortably. However this time around I was actually having to sweep my fringe to the side because otherwise, I basically wouldn't be able to see. Really impressive. I will continue to use the Jason Long and Strong Jojoba Pure Shampoo and Conditioner in the run up to my wedding for the brilliant results, but I think when it comes to replacing them I would try and get away with just buying and using the shampoo and see how that worked. Unfortunately the conditioner just isn't hydrating or nourishing enough for me. However they're both great value - the bottles are huge! You can buy the duo online from Baldwins here and here. 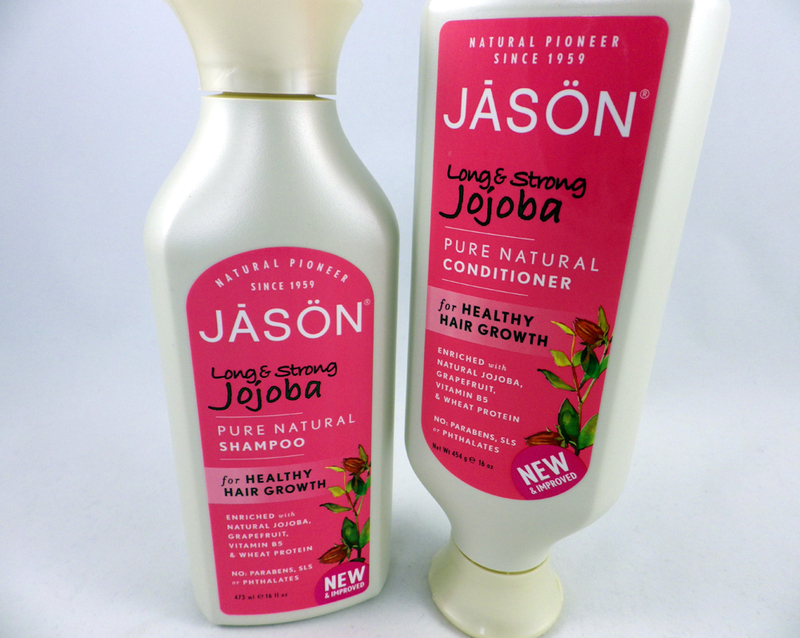 Have you tried the Jason Long and Strong Jojoba Pure Shampoo and/or Conditioner? What hair products do you love for strong, healthy hair? Oooh wow! I'm going to use this if I start growing out my fringe again (I'm thinking it over), it sounds good! Ooh what month are you getting married in? We're getting married the end of June next year, sticking to our anniversary! too bad the conditioner didn't work for you but what a great value! never heard of this brand. will check them out.